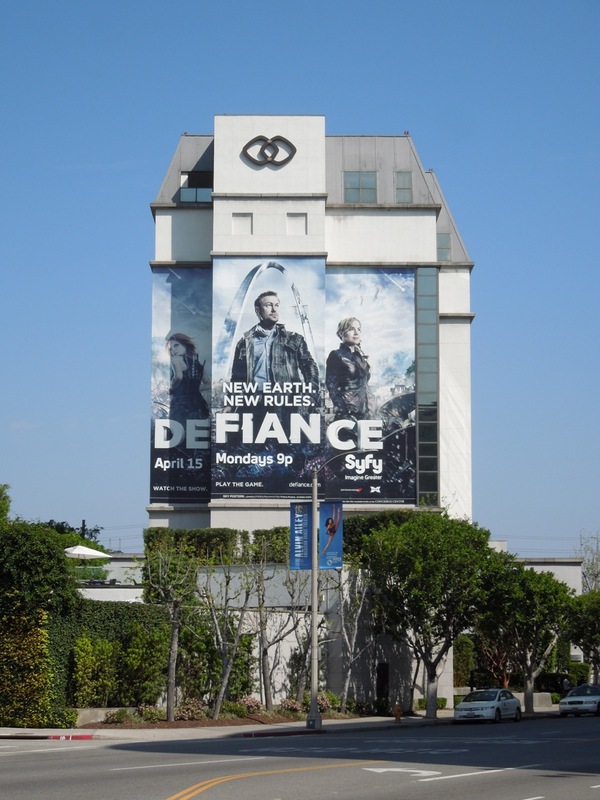 In the same way that sci-fi seems to be big at the box office this year, it looks like the small screen may be getting an injection of futuristic space stuff too. 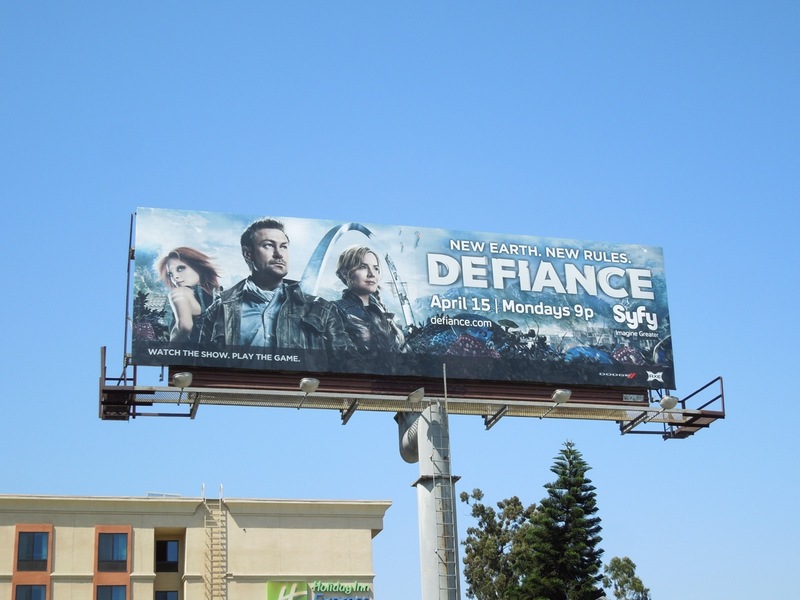 Not only is Syfy's Defiance a new TV show, but there's also a complimentary video game accompanying the series to help expand this newly created universe. The ambitious sci-fi series is set in a near future Earth which has been rocked by the arrival of seven different aliens fleeing the destruction of the Votanis star system. 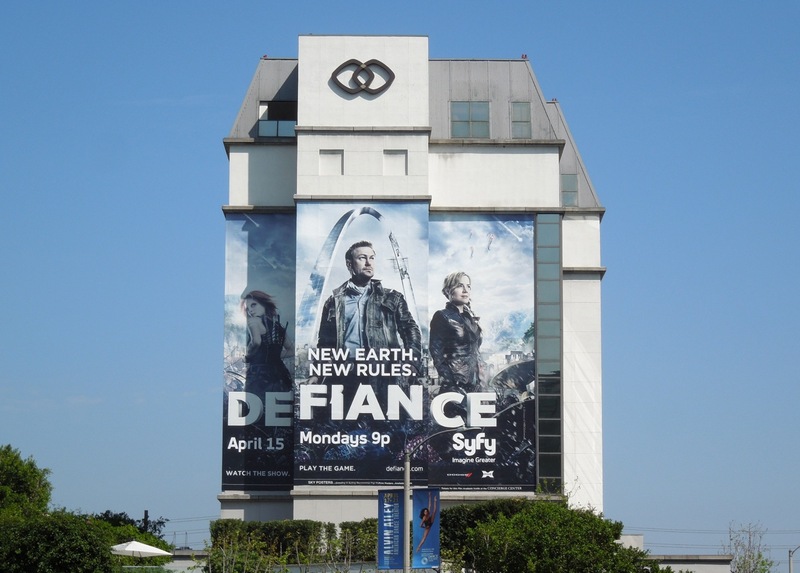 Seeking refuge the extra-terrestrial 'Votan's' were meet with suspicion and hostility by humanity, and following an apocalyptic event some of their advanced technology fell to Earth and started to terraform the globe into literally an entirely new world with a whole set of new rules. 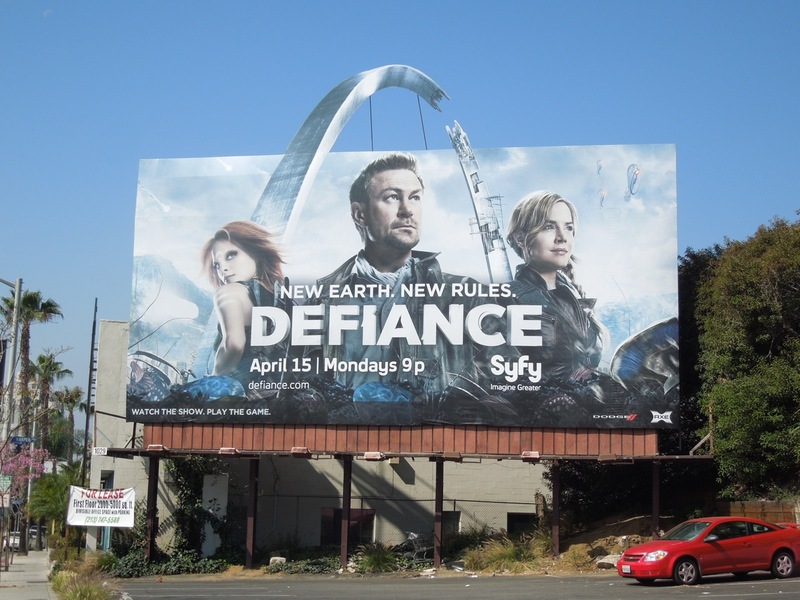 Defiance takes its name from a border town built upon the ruins of St. Louis, Missouri, run by Julie Benz's mayor 'Amanda Rosewater' (no stranger to the fantasy genre) where this new civilisation of aliens and humans must co-exist, when along comes the mysterious 'Jeb Nolan' (Grant Bowler) and his charge 'Irisa' (Stephanie Leonidas), and they discover things may not be as peaceful as they seem. 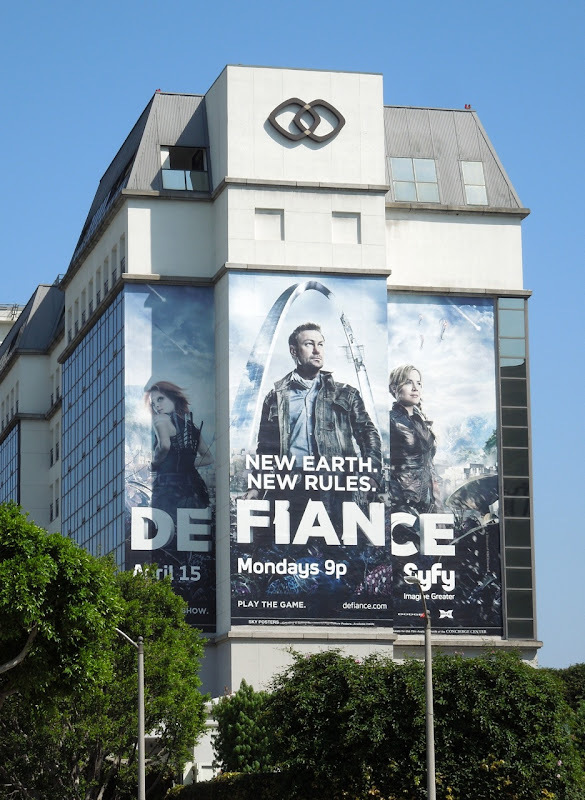 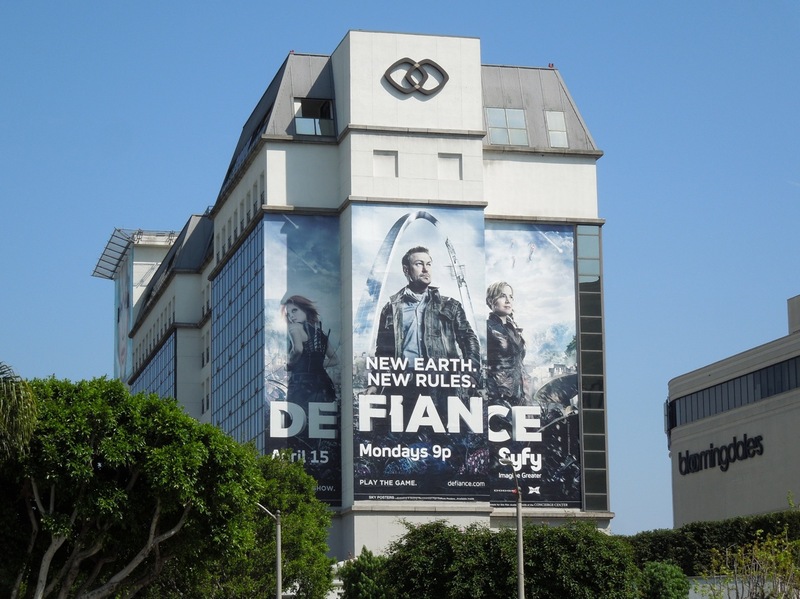 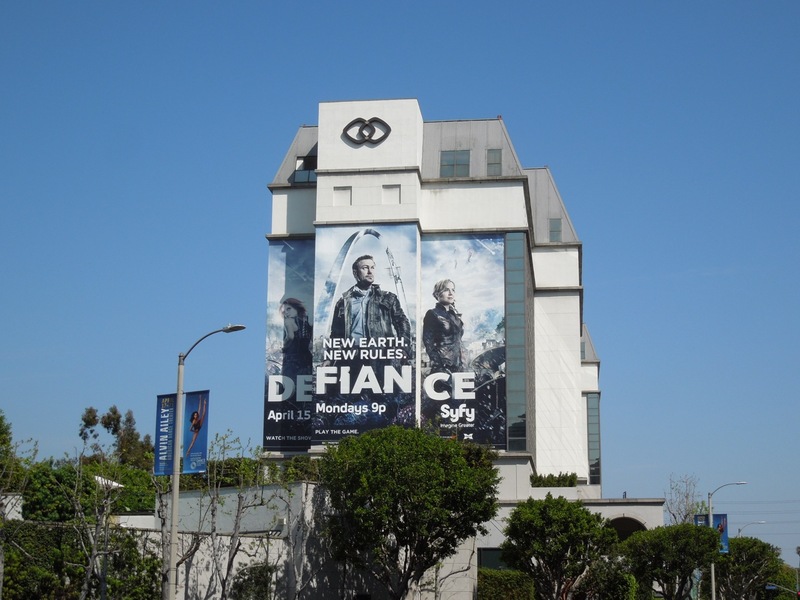 The whole premise seems quite epic and exciting in scale and so it's befitting that Defiance gets this giant-sized billboard to help launch the new series, which was spied on the side of the Sofitel Hotel along Beverly Boulevard on March 27, 2013. 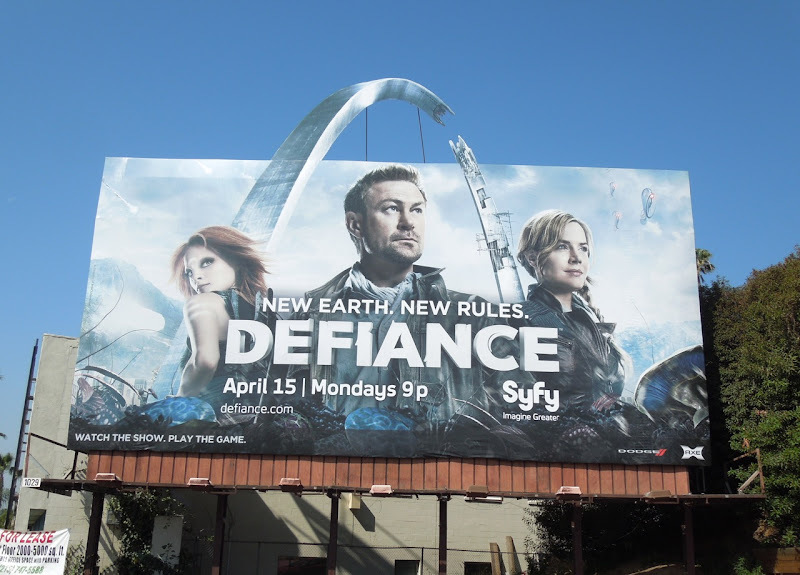 If you like this ad creative, be sure to check out these other cool billboards for Syfy's TV shows. 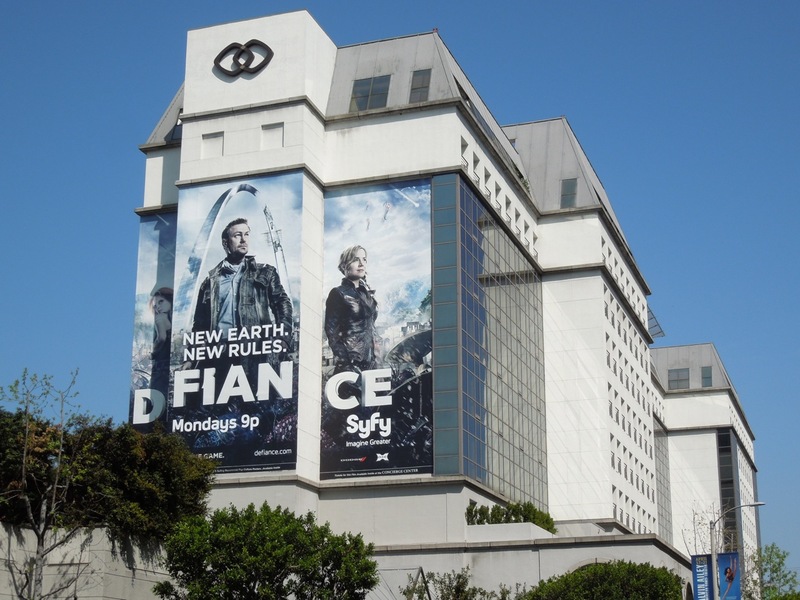 UPDATED: Giant-sized creatives are not the only trick that Syfy has up its sleeve to draw attention to its daring new show. 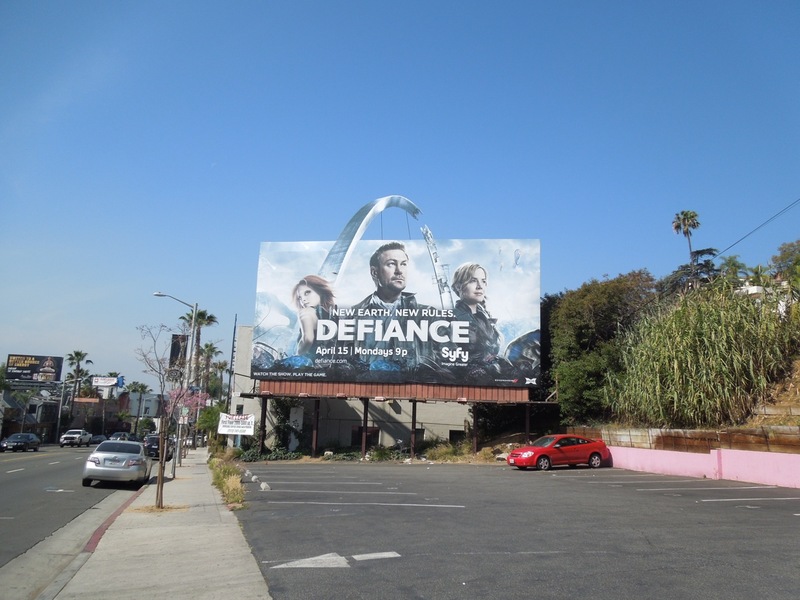 The reconstructed St. Louis Gateway Arch was just crying out for the special extension treatment, and you have to admit it looks pretty cool. 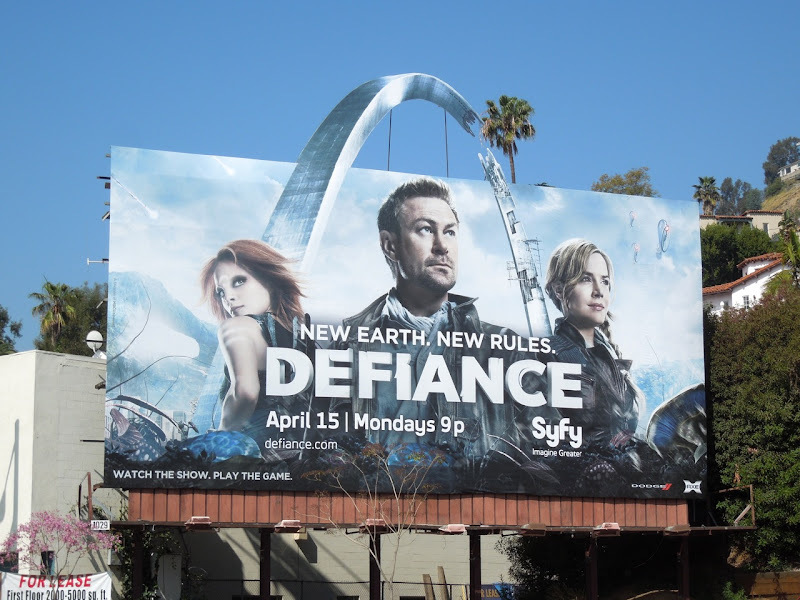 This fantastically eye-catching series premiere billboard was spied along Sunset Boulevard in West Hollywood on April 3, 2013. 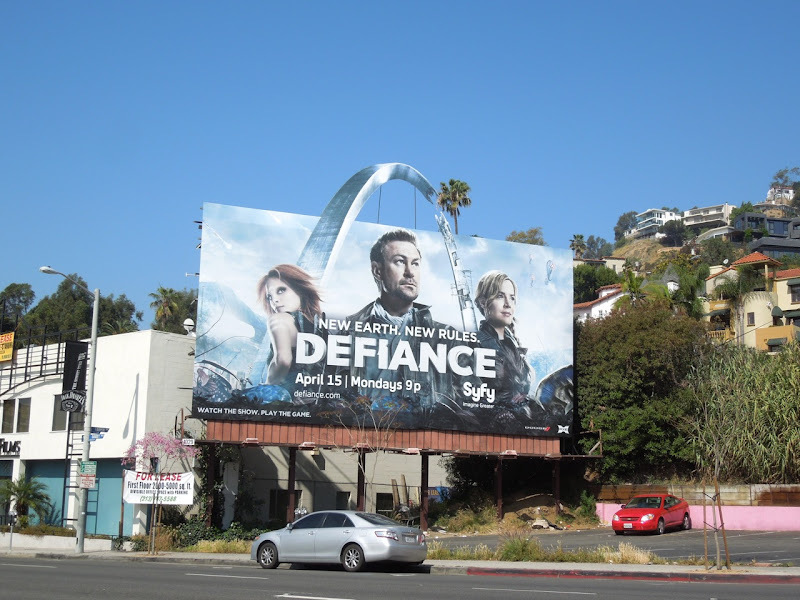 UPDATED: For completions sake, here's the standard billboard version for your enjoyment, snapped along Highland Avenue on April 26, 2013.